Ha ha nice snapshot! Don’t be driving off the road trying to get a good picture of a domain name! The only thing that would have made it better were if the billboard was titled “Dads’ Rights” OR the domain was “Fathers’ Rights.com” Seems like they might get a little bit of bleed off to a competitor. In fact, They should have just put the domain up there…self descriptive. @Chip, Great point. If they have the domain DadsRights.com, then the billboard title should match. I agree love it. Dadsrights.com and great name. @Jeff, ideally they would own both (dads and fathers). Good rules. Word order is important too. So, rightsdad.com is obviously less valuable than dadsrights.com, because the latter is more common in every day usage. 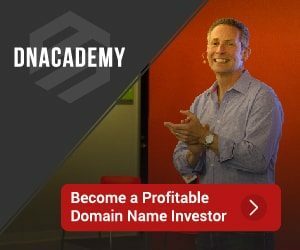 I wouldn’t buy a domain if the word order is wrong – even if the appraisal value is high. Also, I agree with short – as long as it’s still descriptive. For a giant billboard like this, dadsrights.com works – but, dadslegalrights.com might be slightly more descriptive. @Danny – absolutely, word order is critical. I learned that lesson with some geo terms.